Facebook made an odd little statement Wednesday, conveniently timed to be during the busy time when many Americans prepared for Thanksgiving. In the post, the social media giant tip-toed around admitting it hired a Republican opposition-research group called Definers to investigate billionaire provocateur George Soros. <a href="https://newsroom.fb.com/news/2018/11/elliot-schrage-on-definers/">The post reads,</a> "We hired Definers in 2017 as part of our efforts to diversify our DC advisors after the election. Like many companies, we needed to broaden our outreach. We also faced growing pressure from competitors in tech, telcos and media companies that want the government to regulate us." The post continued, "This pressure became particularly acute in September 2017 after we released details of Russian interference on our service. We hired firms associated with both Republicans and Democrats — Definers was one of the Republican-affiliated firms." 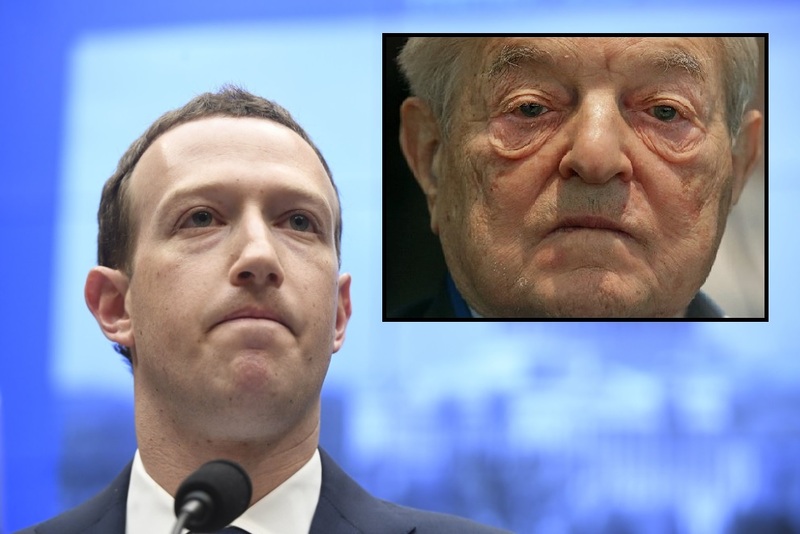 Facebook's outgoing head of communications and policy Elliot Schrage was the author of the blog post and added, "In January 2018, investor and philanthropist George Soros attacked Facebook in a speech at Davos, calling us a menace to society. We had not heard such criticism from him before and wanted to determine if he had any financial motivation. Definers researched this using public information." "Later, when the Freedom from Facebook campaign emerged as a so-called grassroots coalition, the team asked Definers to help understand the groups behind them," Schrage said. "They learned that George Soros was funding several of the coalition members. They prepared documents and distributed these to the press to show that this was not simply a spontaneous grassroots movement." Sandberg was forced to walk back her previous denial of Definers hiring by Facebook admitting that the information <a href="https://www.washingtonpost.com/technology/2018/11/21/zuckerberg-says-he-wont-step-down-sandbergs-job-is-safe-even-after-facebooks-scandals/?utm_term=.7dcd4e3a40ce">"crossed her desk." </a> Sandberg was adamant that it was not intended to perpetuate any anti-Semitic conspiracy theories about the billionaire Soros. "I also want to emphasize that it was never anyone’s intention to play into an anti-Semitic narrative against Mr. Soros or anyone else," she said. "Being Jewish is a core part of who I am and our company stands firmly against hate," Sandberg added. "The idea that our work has been interpreted as anti-Semitic is abhorrent to me — and deeply personal." The way that Facebook decided to release the admission is an indicator that the company is struggling to slip the news past their users without gaining too much attention. Releasing the blog post the day before Thanksgiving while Black Friday deals, family visitations inundate people, and Thanksgiving preparations were carefully planned. The reality is the company has been caught, once again, redheaded trying to smear its opposition by the New York Times. The report forced Facebook's hand and led to the admission of the hiring of Definers and that both of Facebook's top executives had knowledge of that fact. Still, Facebook has so many users the news is unlikely to make a dent in the company as we have seen time and time again as it skirts past the many scandals over the last several years. In my mathematically challenged brain I thought I was spending forty-eight cents with every bet.